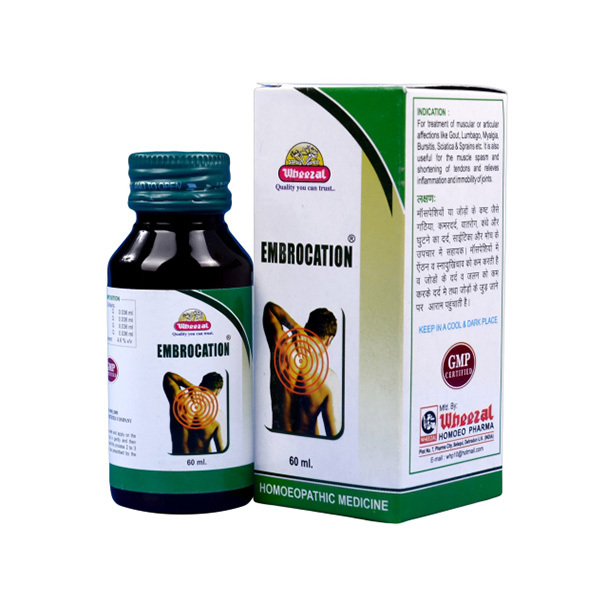 Helps in muscular or articular affections like gout, lumbago, myalgia, bursitis, sciatica & sprains. Relieves muscle spasm & shortening of tendons. Relieves inflammation & immobility of joints. Belladonna Q, Bryonia Alba Q, Arnica Mont. Q, Rhus Tox. Q. Shake well and apply on affected part, rub in gently and then cover it. Continue this process 2 to 3 time in a day or as prescribed by the Physician. Presentation : 60ml. & 450ml.